an indie rock artist currently based in Dallas, Texas. 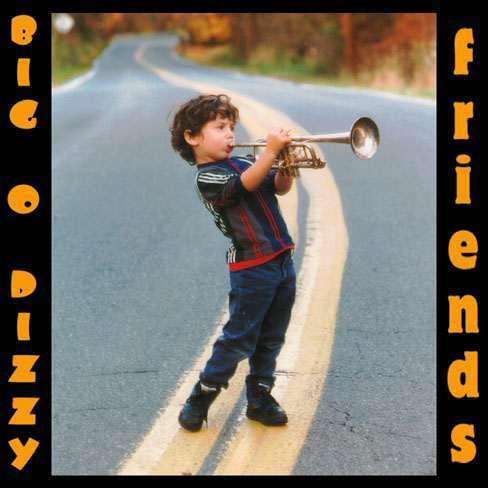 The disc reflects his diverse musical tastes and experiences, synthesized into an infectious pop-rock brew. There are many standout cuts, sure to appeal to alternative and college rock listeners, performed and produced with enough finesse to reach mainstream audiences as well. "I Don't Care", "Safe", "Wrong Number", and "Survival" are recommended cuts for introducing Ken Hymes to listeners. 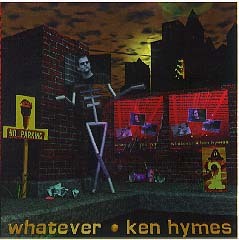 Tracks from the album "Whatever"
Ken Hymes grew up mostly in West Philadelphia, with sojourns to England (where he remembers seeing "Yellow Submarine" in 1968) and the Pacific Northwest. His brother was a Beatles fanatic, and they shared a room, so Ken heard the Fab Four in his crib. His parents were radical academics in the 60's, so Ken saw his share of marches and draftcard burnings and political meetings as a young child. A strong memory is sitting on Dad's shoulders watching Pete Seeger play at the Washington Monument. West Philly infused Ken with a strong potion of funk and early rap, the influence of which can be seen in "Whatever." He attended Berklee College of Music for a few semesters, and learned so much theory and arranging that it took years to forget it. A series of bands that didn't get anywhere, combined with the plastic musical climate of the eighties, led Ken into attempting to write and sell commercial songs for a time, to no avail. Moving to Ohio in 1988, Ken was a social worker for several years, and continued to hone his craft at home and in yet more failed bands. The most satisfaction professionally in this period was found in scoring films such as "Night of the Living Bread," a parody film by Kevin O'Brien that won first prize at the Hamburg International Short Film Festival, and was released with the reissue of George Romero's original classic. Other work with filmmaker Jeff Wray received national PBS airplay. Out of frustration with the difficulty in finding dedicated personnel, Ken decided to produce his own CD. "Whatever" was recorded in his home studio over the course of six months, then mastered and packaged by the good folks at Audiomind. The disc reflects Ken's personal and musical history: political activism, a love of diverse musical styles, and the Beatlesish impulse to fuse the latter into new forms. In Ohio, Ken has become known as a unique solo act, surprising audiences with his ability to carry off styles such as "techno-rap" in an acoustic context. Currently living in Dallas, Ken is forming a combo to promote the disc, as well as to develop new material. His favorite Super Hero is absolutely SpiderMan. Misunderstood, wracked with guilt, and his superpowers are pathetically jerry-rigged. ©2002 Audiomind, Inc. All rights reserved.